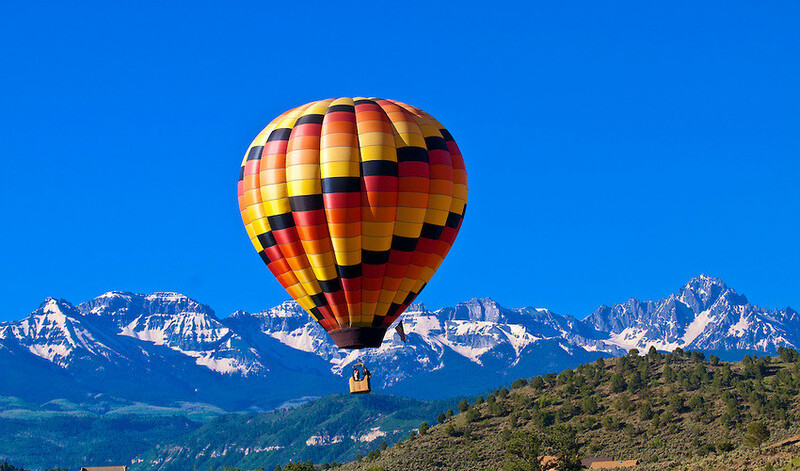 San Juan Balloon Adventures specializes in “Personalized Service” with no more than 4 passengers aboard any balloon, and by providing “first class only” flights that include a complete hot air ballooning experience. Safety is our first priority, therefore, we only fly when weather conditions permit. Your safety and enjoyment is further enhanced with “state of the art” equipment and a knowledgeable, friendly and attentive crew to serve you. Our reputation for providing safe, quality service is evidenced by a large number of referrals and repeat passengers. We operate one early morning flight each day, weather permitting. Although an average flight lasts approximately one hour we ask that you plan to allow 3-31/2 hours in order to enjoy the complete experience including the inflation and deflation of the balloon as well as the post flight celebration. All of our flights include a delightful champagne brunch which generally includes: assorted cheese, crackers, fresh fruit, orange juice and fresh pastries. Please let us know at the time of booking if you prefer N/A beverage or if you have any specific dietary needs. Each passenger also receives a personalized flight certificate.